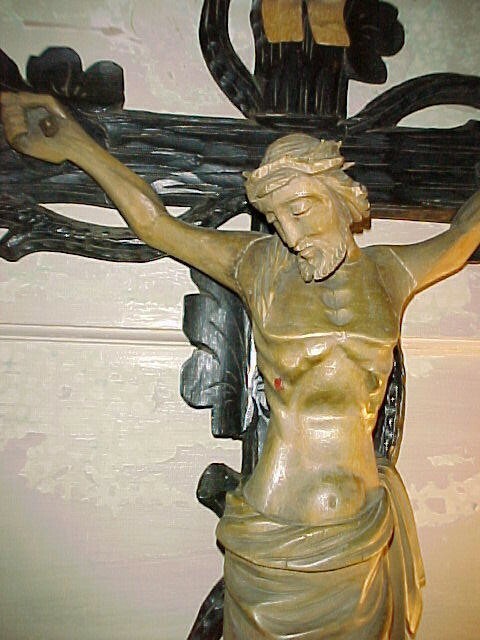 1850's European Victorian Wood Carved Crucifix. Approx. 4'ft tall and 2'ft wide at the cross bar. This is one of the most beautiful pieces of religious art over a hundred and fifty years old. Perfect for that Adobe Home,or Southwestern house. This is an extremely rare find. 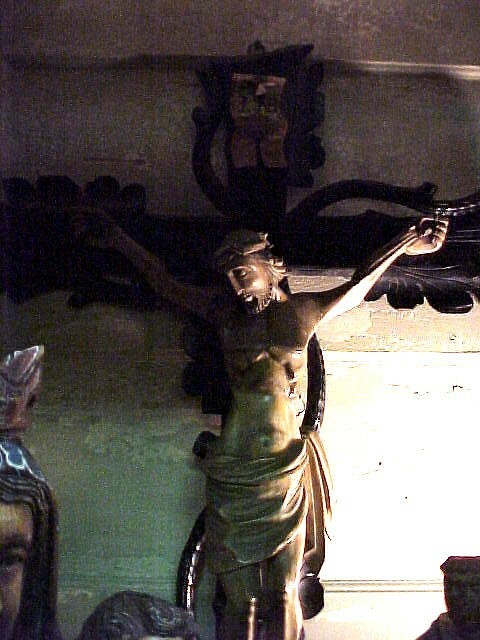 1850's European Victorian Wood Carved Crucifix. Approx. 4'ft tall and 2'ft wide at the cross bar. 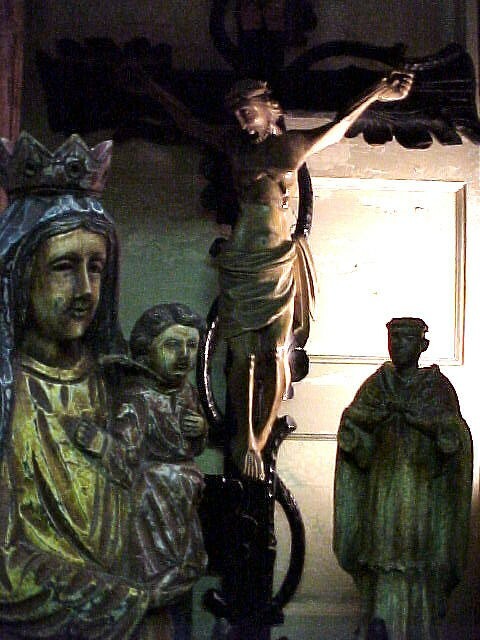 This is one of the most beautiful pieces of religious art over a hundred and fifty years old. Perfect for that Adobe Home,or Southwestern house. This is an extremely rare find. Please email cowboycabin@centurytel.net with questions or call 406 270-2842.